Acne is the most common skin disease in the U.S., affecting millions of teens, preteens, and adults. Dr. Zaina is a leading provider of effective acne treatments in Mesa, AZ, offering customized solutions for patients of all ages at La Peau Dermatology. Acne occurs when hair follicles become blocked by oily secretions and debris, providing a warm environment for bacteria to grow and multiply. The plugged pores prevent natural oils from reaching the skin's surface, keeping them trapped inside the follicles where they provide food for the bacteria. As the bacteria grow, the immune system sends out special “agents” to fight them, resulting in inflammation, redness, tenderness and pus accumulation under the skin. Acne breakouts can occur anywhere there are hair follicles, but most breakouts occur on the face, chest, shoulders, and back. Without ongoing care, acne can cause scarring and discoloration, as well as depression and anxiety. Many factors can cause or contribute to acne breakouts, and developing an effective skincare treatment program requires ongoing intervention by a skilled dermatologist. Most people benefits from a combination of topical and oral medications, as well as lifestyle changes to keep skin as healthy as possible. In addition to medications, laser and light therapy, acne facials, microdermabrasion and chemical peels can also help some patients by unblocking follicles and keeping bacterial populations under control so inflammation is reduced or prevented. In some patients, simple procedures can be performed to unblock clogged follicles or remove cysts so scarring can be avoided. Sometimes, a treatment that has been effective will become less effective as the skin changes and adapts, and a new treatment plan will need to be devised. At La Peau Dermatology, acne treatment programs are carefully developed based on each patient's needs for optimal results in teens and adults. Acne breakouts can be prevented or lessened by seeing a dermatologist on a regular basis and following treatment recommendations as well as recommendations for washing and caring for skin to prevent irritation. Learning to manage stress may also help. Because acne can change over time, it's important to see the dermatologist regularly to ensure treatment remains effective. Active acne: A high power Nd:YAG laser is used to penetrate the skin deep enough to thermally and selectively destroy large sebaceous glands. 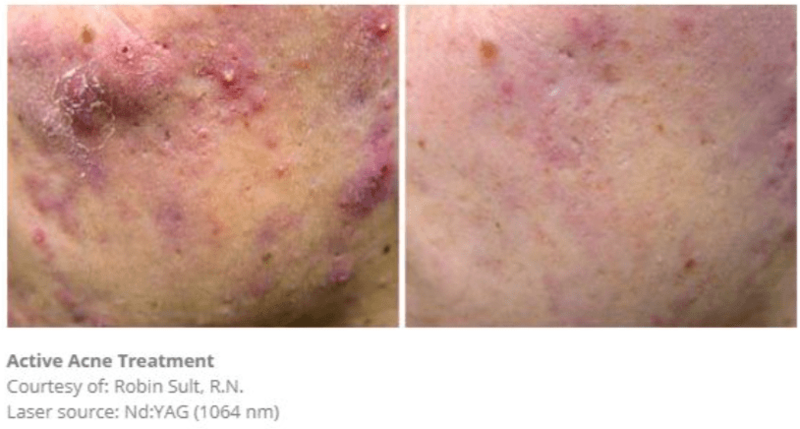 Acne scars: The Er:YAG laser is used to remove micron-thin layers of skin so that new skin can form in its place. Unlike chemical peels and microdermabrasion, laser resurfacing can be easily controlled. The laser gently vaporizes the acne-scarred surface of the skin so that undamaged skin below is revealed. 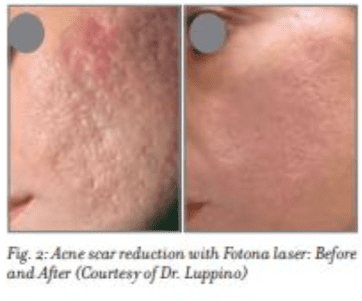 TwinLight laser treatment of acne and acne scars is fast, easy to perform and has an unsurpassed treatment success rate compared to alternative methods. With easy-to-follow protocols and at-the-touch-of-a-button treatment settings, practitioners are able to treat patients with confidence and high success rates. 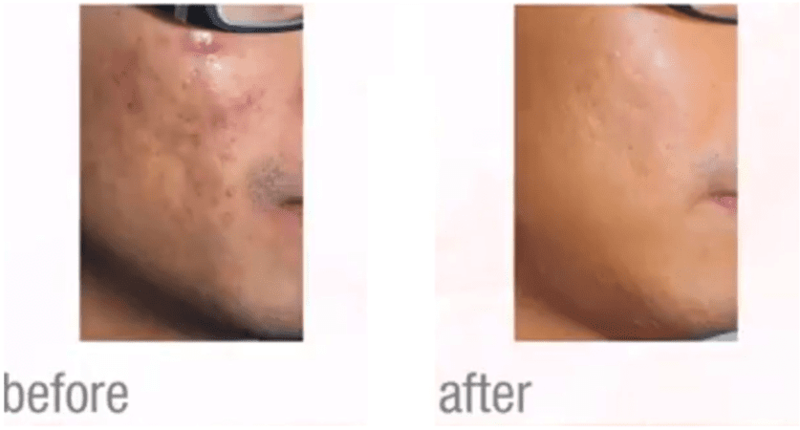 Treating acne with the laser is the least-invasive and most patient friendly method possible. What is more, no medication is required and complete recovery is achieved within days.